One silver and 18 karat yellow gold ring. 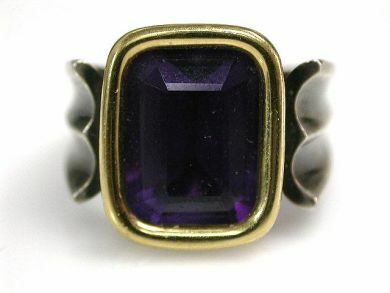 One amethyst (7.72 carats). The ring has a tapered double groove silver shank and 18 karat yellow gold polished bezel.